Final Fantasy XIV patch 4.1 will see the beginning of the next 24-person alliance raid in the form of Return to Ivalice which, as you could see in the official trailer. Two weeks after the release of 4.1 will be 4.11, which will tentatively add a new raid difficulty tier to the MMO in the form of The Unending Coil of Bahamut (Ultimate). It is necessary to obtain Final Fantasy XIV Gil and FFXIV Power Leveling. This new patch will add a hefty amount of content, including a new alliance raid, more story and side quests, a new dungeon, and much more. You can check it all out in the trailer below. 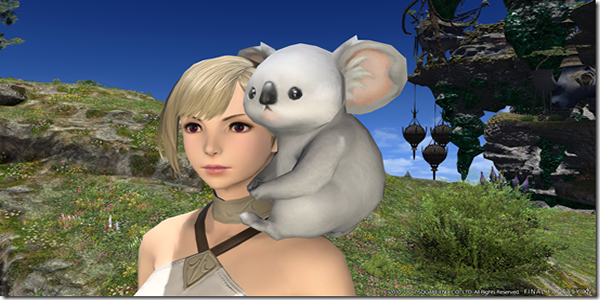 Note: It was revealed that Final Fantasy XIV's patch 4.1 will be launching on October 10th. Patch 4.1 will also bring the new residential district, Shirogane. Changes will also be made to the treasure map dungeon, the Lost Canals of Uznair. New maps will be added that will lead to deeper parts of the canals, which will also feature rarer treasures and tougher enemies guarding the said treasure. Finally, this patch 4.1 is the first major content update, we posted some screenshots showcasing some of the features included in the patch. You can go to website to preview these screenshots and this patch content. The patch is set to arrive on October 10th and is titled The Legend Returns.